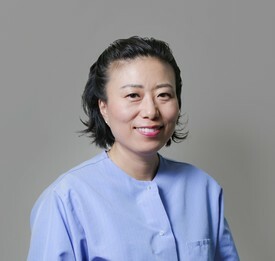 Dr. Boyoung Won practices prosthodontics, general and family dentistry in Sacramento since 2005. Dr. Won studied at Boston University where she received her bachelor’s degree in biochemistry. She then went on to Tufts University where she received her doctorate of dental medicine in 2002. Dr. Won also received her postdoctoral degree on Prosthodontics from Tufts University in 2005. 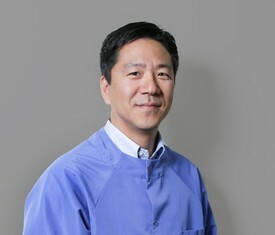 Dr. Michael Yoon practices general and family dentistry in Sacramento since 2005. He studied at UCLA and received his bachelor in Biology . Dr Yoon also attended Tufts University where he received his doctoral of dental medicine in 2003. Dr. Yoon is always striving to stay on the cutting edge of dentistry attending many advanced continuing education courses. He is certified implant restoration in SIC. Dr. Yoon is a member of the American Dental Assoc. (ADA), California Dental Assoc. (CDA), and Sacramento District Dental Society (SDDS). Dr. Yoon is married and has two children. When given the time he enjoys golf, softball and spending time with friends and family.